Composite doors are a great choice for homeowners who are looking for a door that not only looks great but also boasts high performance in a number of areas. If you’re not sure whether to take the plunge and get a composite door fitted for your home, you’ll benefit from reading the information we’ve put together that tells you everything you need to know about composite doors. Let’s start with what makes composite doors so good! One of the first things you’ll immediately notice about composite doors is that they tend to look remarkably like your traditional timber door, which is great for those who are looking for that kind of appeal. A composite door stands out in comparison because there’s far more room for customisation options. When you buy one from Vista Panels, you’ll have the choice of 15 colour options, both standard and premium. The glazing itself can also be customised with a variety of designs and styles etched into the glass. We even offer a generous amount of furniture options for the door, allowing you to choose a unique finish for things like your doorknob or letter plate. Many of these options wouldn’t be compatible with something like a traditional timber door. Nobody wants a door that has to be continuously maintained for it to look and perform as well as it should. Thankfully, a composite door requires virtually no maintenance, which means you won’t find yourself having to do things like a repaint or varnish it. The most you’ll ever need to do when it comes to a composite door is clean it with a wet cloth to remove dirt. Many doors can begin to look tired and worn down after a few years of exposure to the various weather elements, such as rain or snow, but a composite door will be unphased. The whole point of a door is to create a boundary between the ones within your home and the ones outside it. If the security of a door is anything less than rock solid, it’s not a door you want for your home. The security of a composite door is phenomenal. Our 5-point locking systems enhance the door’s security efficiency, but the locking system is dependant on each installer so it’s worth asking about this before your purchase. The average composite door is both very sturdy and very tough. 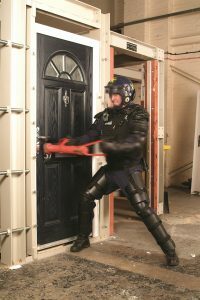 It would be near impossible for somebody to force their way through your front door because the combination of materials that make up a composite door cause it to be remarkably thick. If you buy your composite door from Vista Panels, it’ll be fitted with a 5-point locking system as well as an anti-snap, bump, pick, and drill cylinder. These additions turn your home into a fortress that even the craftiest of home intruders couldn’t get through. The average composite door is far more thermally efficient than its timber or uPVC counterpart for a number of reasons. To begin with, composite doors have a warm foam core that massively assists in providing better U-values than traditional timber or steel doors. 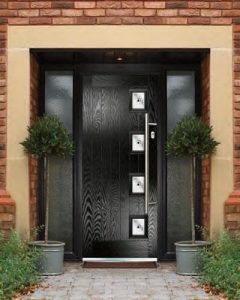 You can even enhance your composite door’s thermal performance further by upgrading to one of our many glass options available at Vista Panels. The Xtremedoor composite doors that we offer are 19% more thermally efficient than solid timber composite doors. The lifespan of your door is something that should be seen as important. You should never need to replace your front door more than once in your life as they’re designed to last a long time. A composite door is no exception to this rule. The average lifespan for a composite door is a minimum of 30 years, which means you won’t have to worry about replacing it anytime soon. There is also one element of a composite door that could be seen as a negative thing by some people. Because a composite door outperforms other kinds of front doors in many ways, it tends to cost more. They are made up of so many different materials whereas other doors are normally just one main material, so you are really getting more for your money. Despite paying a higher initial cost, you’ll save money in the long run thanks to the previously mentioned thermal efficiency that comes with a composite door, resulting in cheaper heating bills. The incredible durability and lifespan of the composite door also means you won’t be spending money on a replacement or even paying maintenance costs that other front doors might incur over time. At Vista Panels, we sell customisable composite doors from Xtremedoor that will offer your home a strong sense of warmth and security for decades to come. 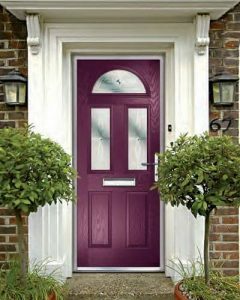 If you’re still not sure who to trust when it comes to buying a composite door, read our post that informs you of seven questions you should ask your composite door supplier. We also supply high-performance uPVC door panels to fabricators across the UK as well as AV2-E motorised locks from Winkhaus for homeowners. For more information, you can contact us or browse our website. This entry was posted in Composite Doors.